The name 'Balmoral' might conjure up images in your head of the grand Scottish castle used by the British Royal Family since 1852. It is also the name of Fred. Olsen Cruise Lines' newest and largest vessel, although at 43,537 gross tonnes she is tiny compared to something like P&O Cruises' 143,730 gross tonne Britannia. 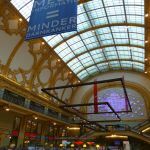 I spent a week onboard sailing from Southampton to the Northern European cities of Antwerp, Hamburg and Amsterdam. 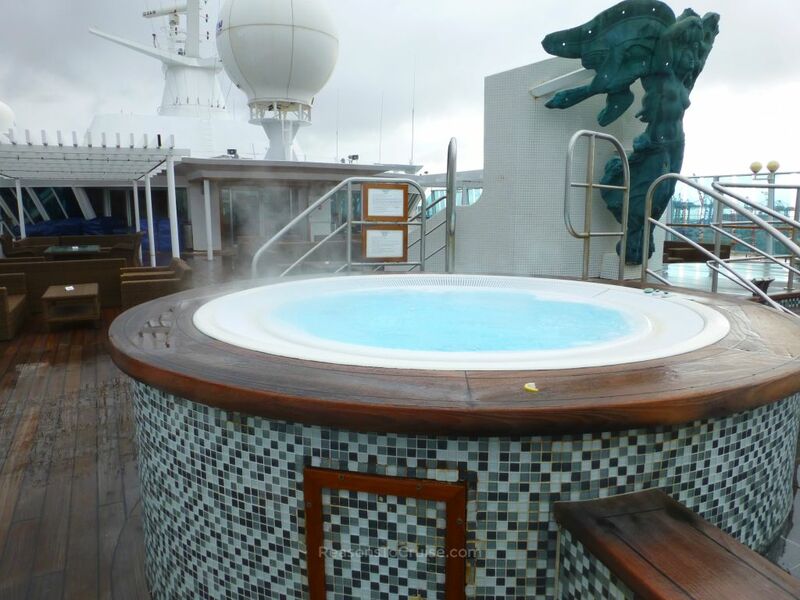 The weather in late March may have been cold and wet, but the warm atmosphere onboard made up for this. 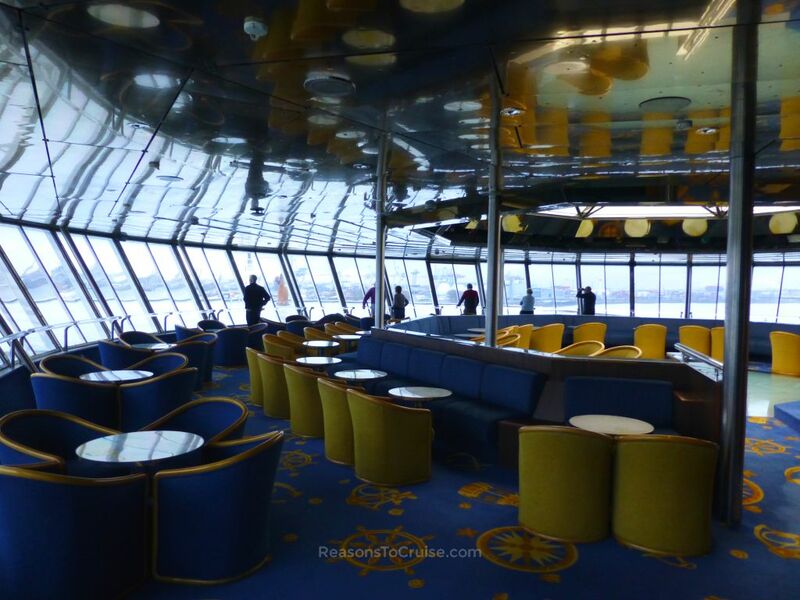 If the steel walls could talk, I am sure they would recount exciting tales of momentous voyages across the world as well as the interesting characters that would have undoubtedly sailed on this ship. Check-in at the Mayflower Cruise Terminal in Southampton was quite late in the day (my allocated time was between 1.30pm and 3.30pm) and surprisingly slow. 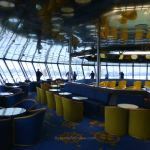 Despite the ship having a capacity of just 1,350 passengers, it took 1½ hours from entering the terminal to boarding the ship. 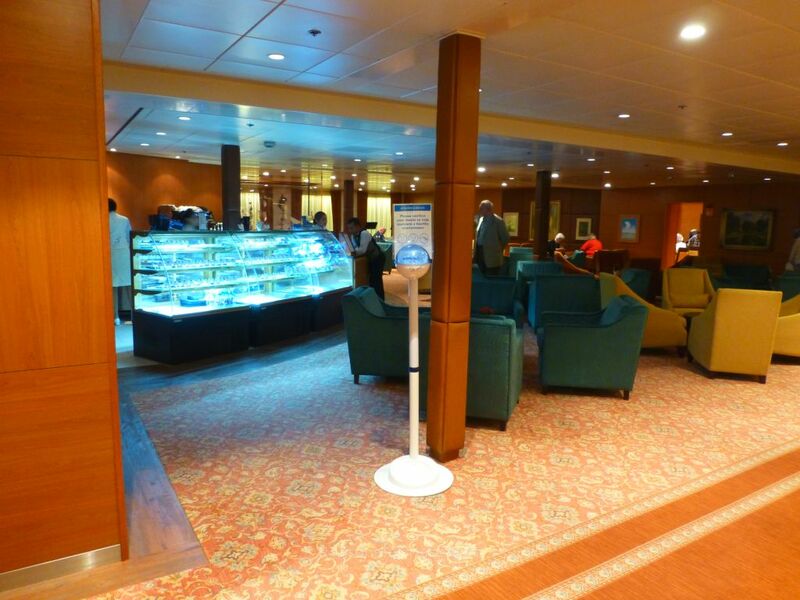 While the cruise line welcomes families onboard, it is most popular with the over 50's market. Their small ships are the perfect antidote to the massive cruise ships that accommodate up to 5,500 passengers at a time. The entertainment programme is therefore tailored accordingly. 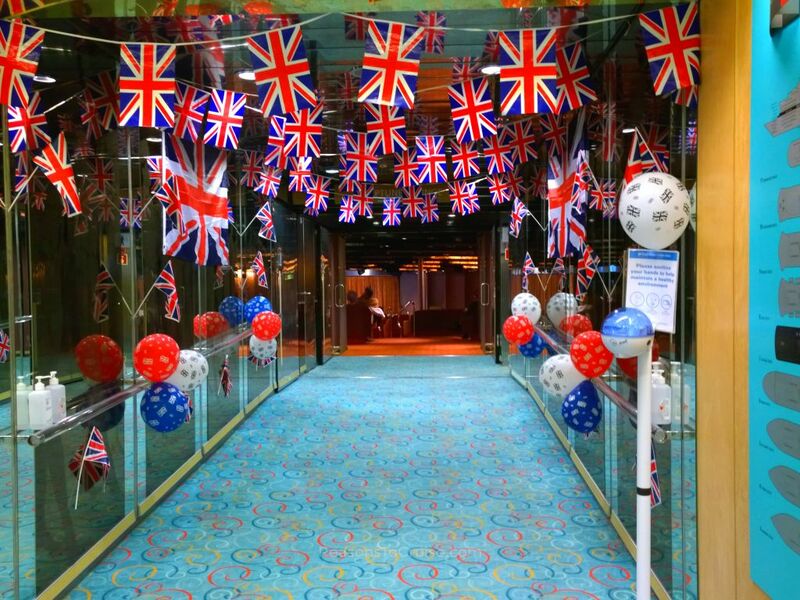 During the week it comprised mainly of craft classes, informative talks, deck games, as well as the evening shows. For a quiet drink while reading a good book the Bookmark Café and the Observatory Lounge come highly recommended. The Marquee Bar was a lovely albeit draughty spot thanks to the sliding doors to the open top deck. The Morning Light Pub was always busy, more so when a traditional pub lunch was available on the final sea day. The Lido Lounge always seemed to host one event or another. 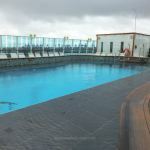 For the tech-savvy - and there were many on board - the paid-for WiFi access was available throughout the ship and while not the fastest service at sea, updating social media and keep up-to-date with emails was a very swift task. Unlimited Internet access worked out at under £10 per night, and one account could be used across multiple devices but not at the same time. 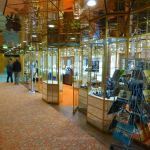 Those that craved retail therapy were not disappointed, with a handful of shops onboard selling a range of jewellery and perfumes. 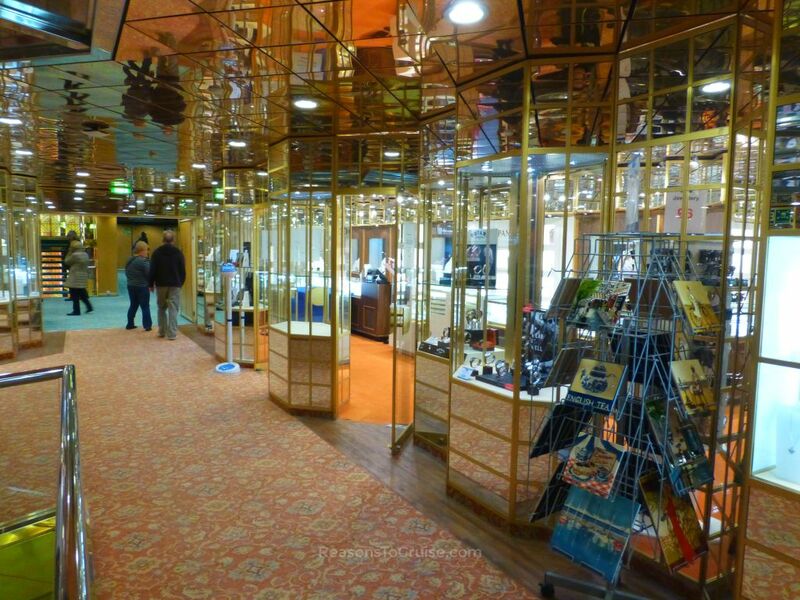 A tiny shop tucked into a corner of the atrium on Deck 6 stocked forgotten essentials and souvenirs. The Future Cruise Desk seemed to be one of the busiest areas on the ship, proving that Fred. Olsen Cruise Lines must be getting a lot right. I cannot recall seeing endless queues for a future cruise desk on any other ship. 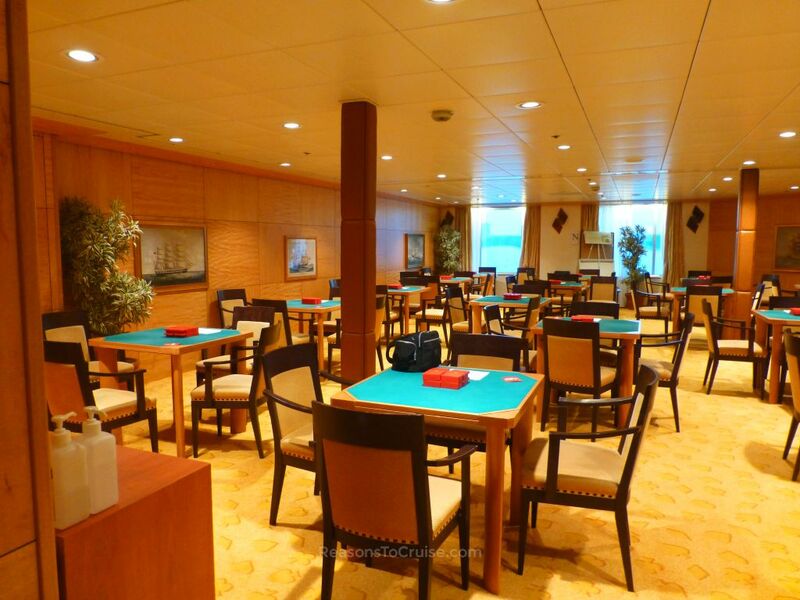 The Card Room proved an irresistible draw each night after dinner, with barely an empty seat each night as passengers engaged in games of Bridge. The Arts and Crafts Room on Deck 3 hosted events, in and amongst the myriad of storage boxes and the table tennis equipment. While the ship lacked a traditional casino, gaming tables were set up in the Lido Lounge most nights for games of Black Jack and Roulette. Talented guest musicians, including John Smithson and Lisa Harman, performed around the ship although their scheduling often clashed with the evening show performances, forcing a decision to see one or the other. Open traditional dance sessions took place in the Neptune Lounge in-between the shows for the early and late dinner guests. Male dance hosts were available, but there were not enough to go around according to one female guest. The evening shows were either production shows performed by the ship's cast of singers and dancers, or guest entertainers. Comedy is subjective, and the guest comedian got a few laughs. The guest magician worked hard but struggled to win over the audience. 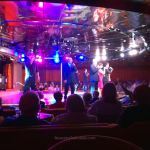 But the shows to see were those performed by the ship's singers and dancers. They performed a trio of lively shows. 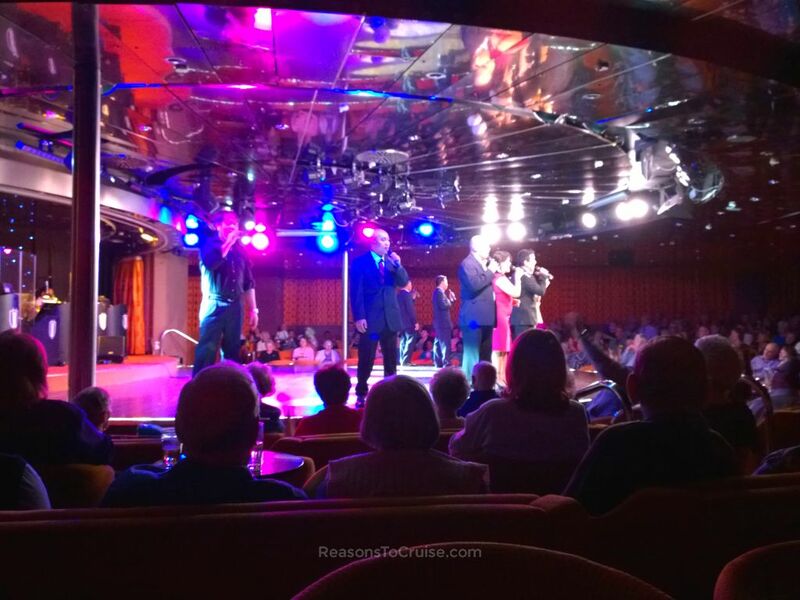 The first, Rainbow Cascade, was a musical tour through the decades and an excellent way to kick-start the cruise. 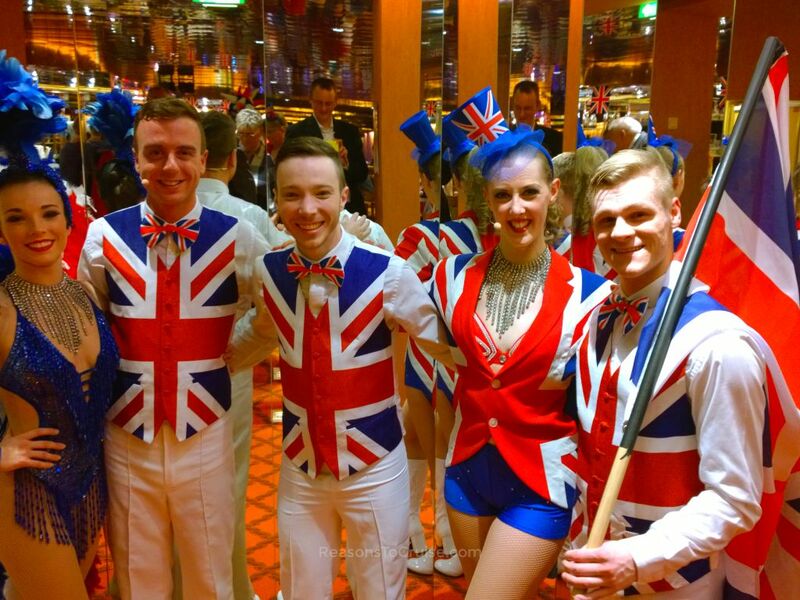 The next show was British Invasion, a patriotic show of classic British hits from past to present. The final show, 21st Century Swing, was a modern take on classic swing hits. 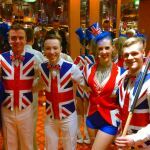 The British show featured daring costumes throughout although the Swing show took this to another level, with the females wearing unnecessarily risqué outfits of bras, thongs and fishnet tights. 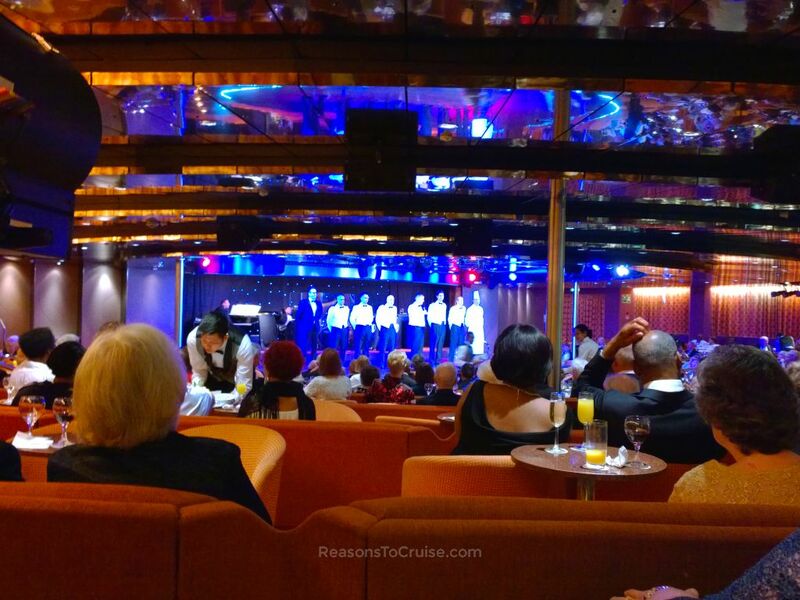 The Crew Cabaret was unmissable, as crewmembers sang their hearts out. It was one of the highlights and a great way for the company to showcase the hidden talent that would have otherwise gone unnoticed. It was also one of two shows during the week that received standing ovations from the audience. Balmoral had a small fitness centre nestled in the middle of the Atlantis Spa. 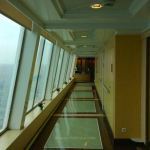 For the size of the ship, it was a surprisingly large space, with running machines and weightlifting equipment on offer. 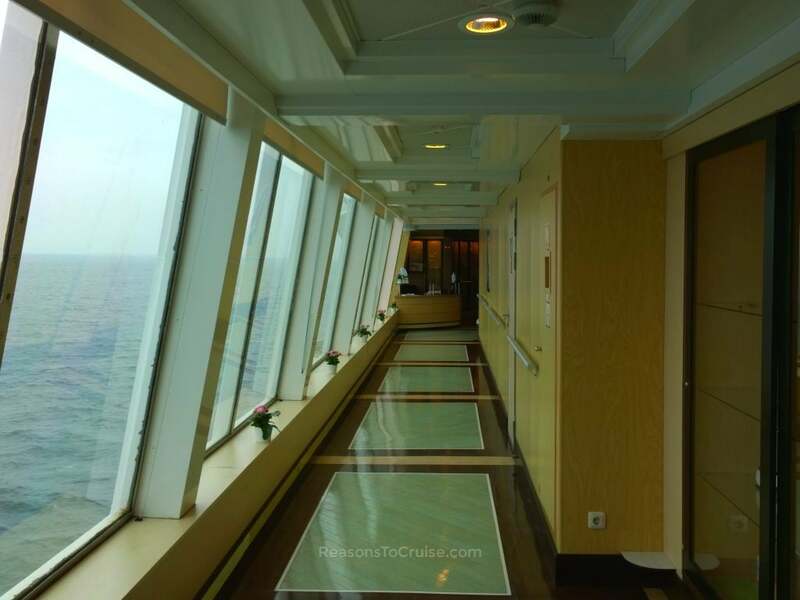 Many of the passengers took to religiously walking laps around the narrow promenade that wraps around Deck 7. Everyone seemed to partake in this easy-going exercise from the young to the old, from groups to individuals. The sea views and mostly covered walkway no doubt helped. Group fitness classes were hosted throughout the day, with some charged for and others available for free. 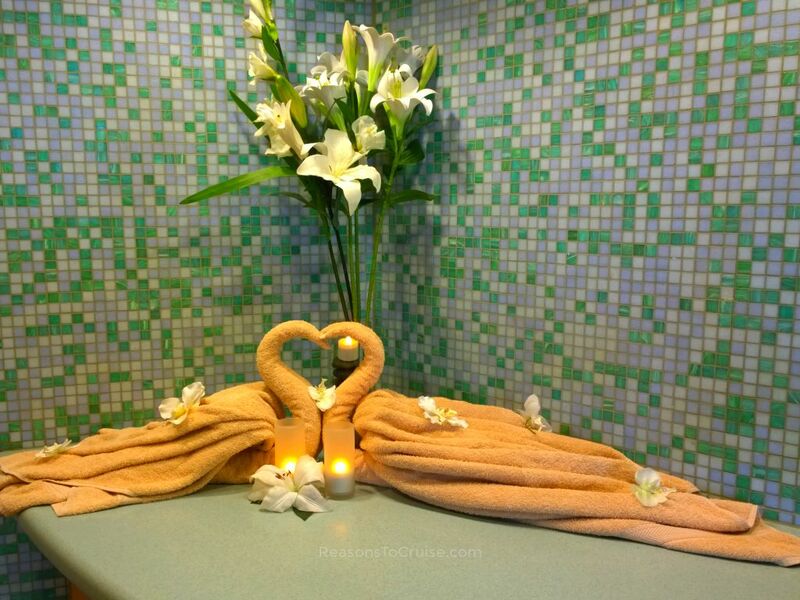 The Atlantis Spa offered an enticing selection of massages and beauty treatments. The beauty salon sits adjacent to the fitness centre while the spa treatment rooms surround the perimeter. 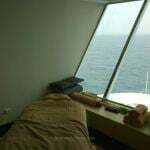 The room where I enjoyed a relaxing and well-deserved reflexology massage overlooked the bow of the ship, with endless sea views to boot. Just one deck above the Bridge the view was almost as good as the Captain's. 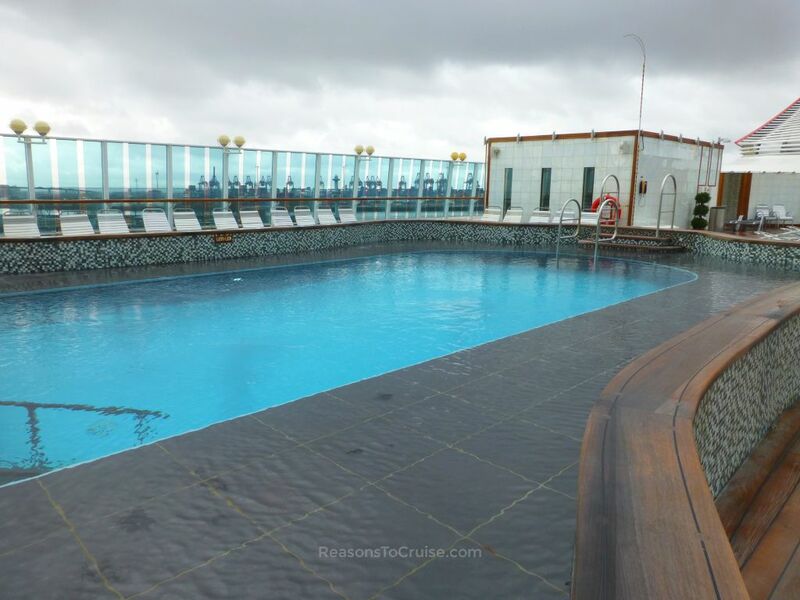 Outside, there were two swimming pools, one on the top deck and one at the aft. Hot tubs surrounded the pools, but even the rising steam from the heated water was not enough to tempt in most passengers during the week. 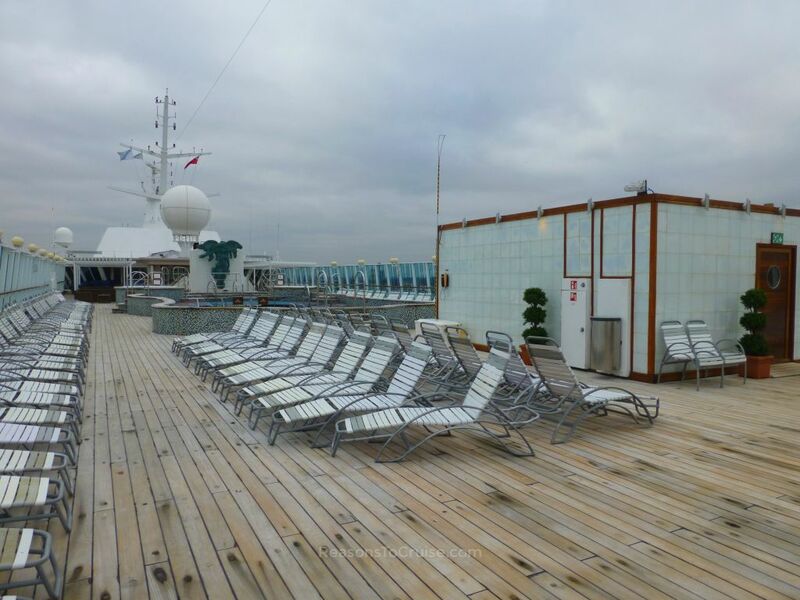 On the top deck, a pool was surrounded by sun loungers although there was not much call for these on the North Sea. However, on an itinerary to a warmer region, I imagine this becomes a very popular area for sun-seekers. 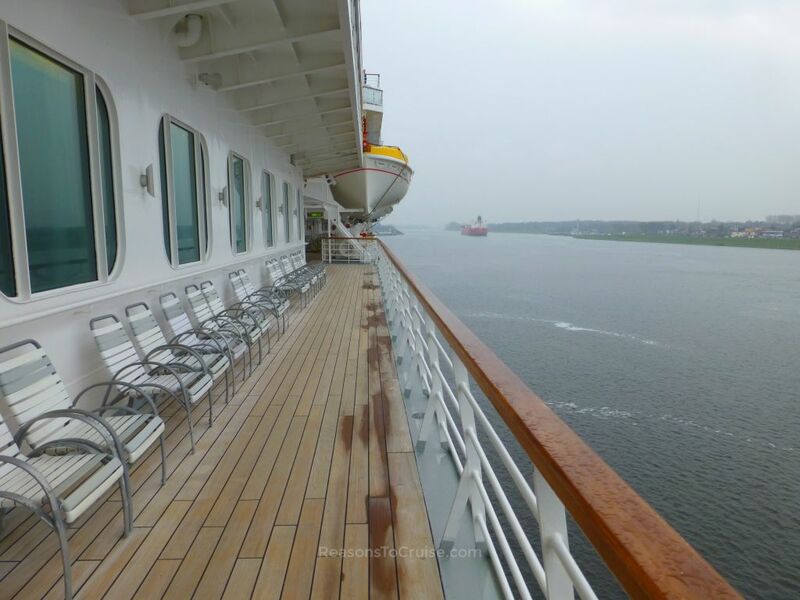 Chairs also lined the narrow teak-decked promenade on Deck 7, with the overhead lifeboats offering some shade. 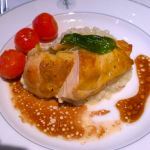 One area the cruise line does not shout loudly enough about in my opinion is its food. 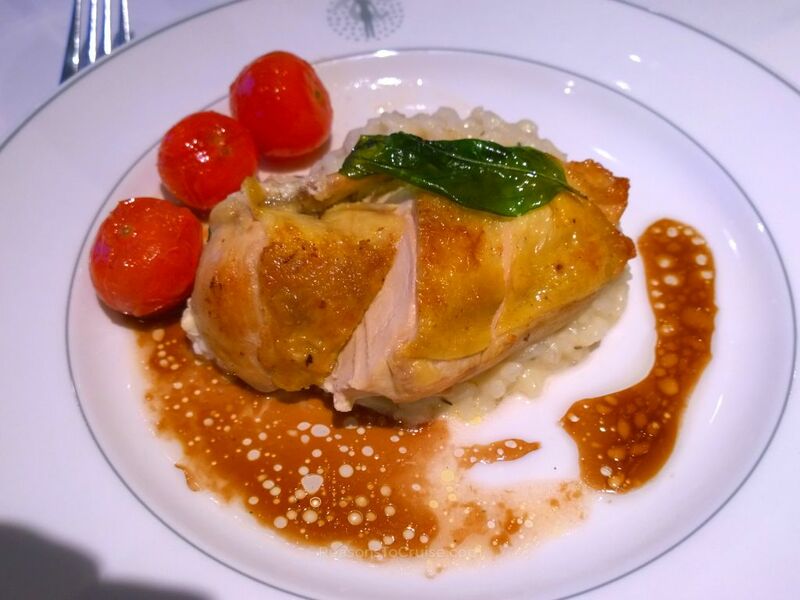 Onboard you will not find celebrity chefs in the galleys, and nor will you find pretentious dishes on the menu. 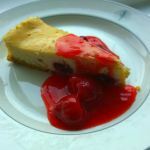 Instead, you will find a variety of recognisable dishes cooked to perfection. À la carte dinner is available in the main Ballindalloch Restaurant and the two smaller, more intimate venues of the Spey And Avon Restaurants. A nightly buffet was available in the Palms Café. The Grill was an area sectioned off behind the Palms Café used for the ship's speciality restaurant, attracting a charge of £20 per person. While I did not dine here during my cruise, I did hear mixed reviews. 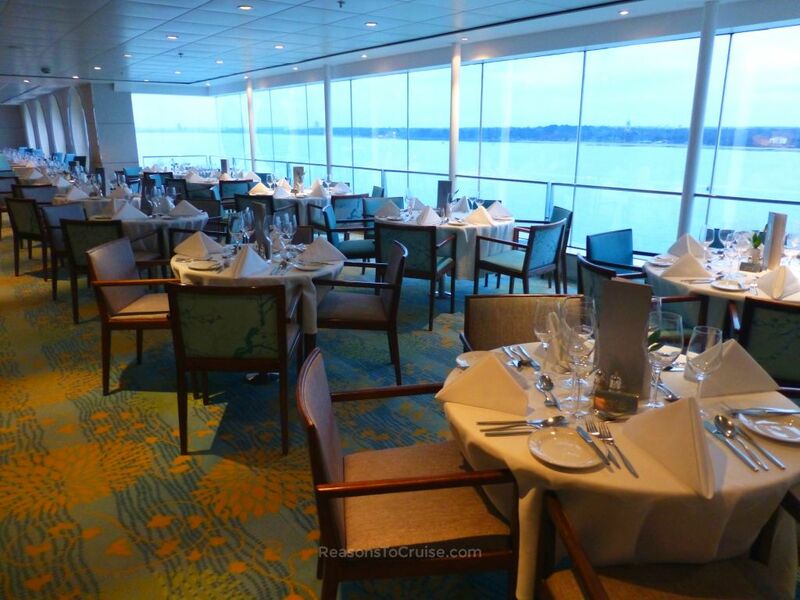 I have written a separate review of the food service aboard Balmoral. There were two cocktail parties held before dinner during the week - the Captain's Formal Cocktail Party and the Captain's Farewell Cocktail Party just days later. These were an opportunity to mingle with fellow guests and to have a photo taken with Captain Lars Juel Kjeldsen. Waiters darted around with platters of pre-dinner canapés and trays of free wine and orange juice. The events were an opportunity for the Captain to introduce his team of senior officers as well as some of the crew-members aboard in behind-the-scenes roles. Perhaps the clearest demonstration that Fred. 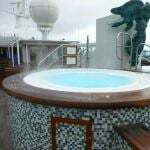 Olsen Cruise Lines understands its target market is the fact that the ship is one of the most accessible I have ever sailed on. Wheelchair ramps were available at most of the doors that lined the promenade, although the heavy manual doors made it tricky to manoeuvre wheelchairs through. Ramps are available alongside the stairs between the Observatory Lounge and the open top deck. 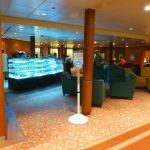 The Neptune Lounge was entirely step-free making it a breeze for those that typically struggle with climbing steps to reach tiered seating. The Guests Services Manager ex plained to me that the crew makes every effort to provide any specific accessibility equipment requested in advance. In one suite she told me that the passenger, who had to cancel at the last minute, had requested a seat to be placed inside the bathroom to help with bathing. 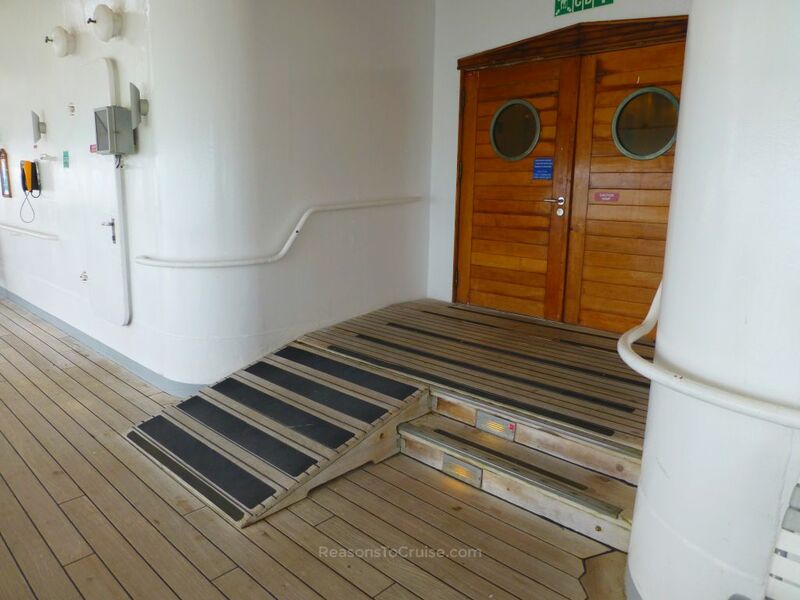 One of the major selling points of a small cruise ship experience, particularly for those that struggle with walking, is that the compact size means that everything is within easy access. 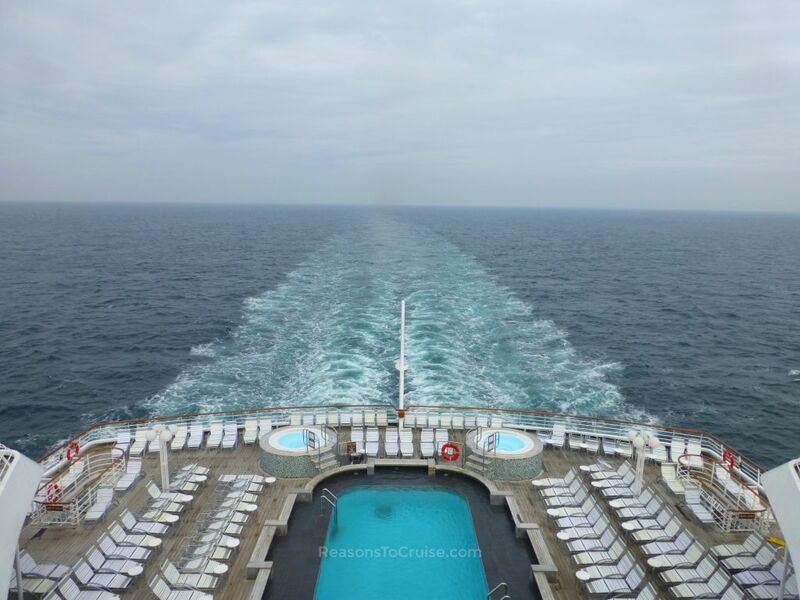 With cruise ships now reaching a massive 362 metres (1,188 feet or a fifth of a mile) in length and 16 decks in height, the relatively small 218 metre (715 foot) nine-deck Balmoral equates to far less walking required. 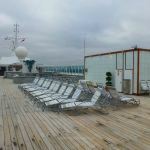 According to the Future Cruise Consultant on board, the cruise line is planning to offer more in the way of scenic cruising as well as longer stays in ports over the next few years. Their fleet of four small ships means they can access more remote ports and areas compared to their competitors. 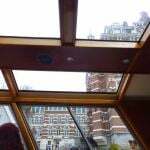 In fact at several points during my cruise Balmoral believed it could be a river cruise boat and sailed along the River Elbe and the Western Scheldt River - an ocean cruise and a river cruise rolled into one convenient holiday! I sailed to Antwerp, Hamburg, and Amsterdam. 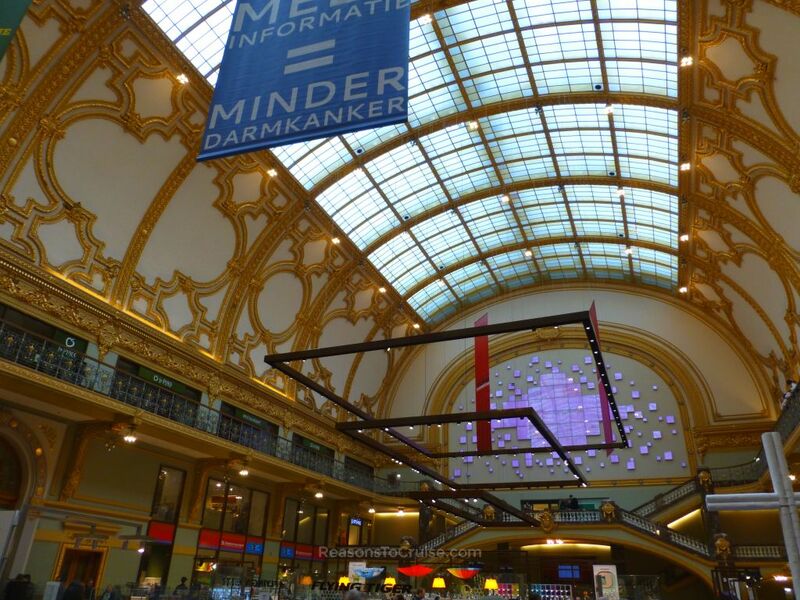 I took a guided tour of Antwerp. 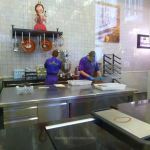 The focus was on architecture and art but the real highlight was the visit to one of my most favourite chocolate shops, The Chocolate Line. 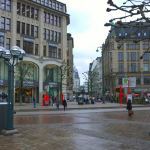 I took two tours of Hamburg as it was an overnight port of call. While there was some overlap, they both showcased the best the city has to offer. 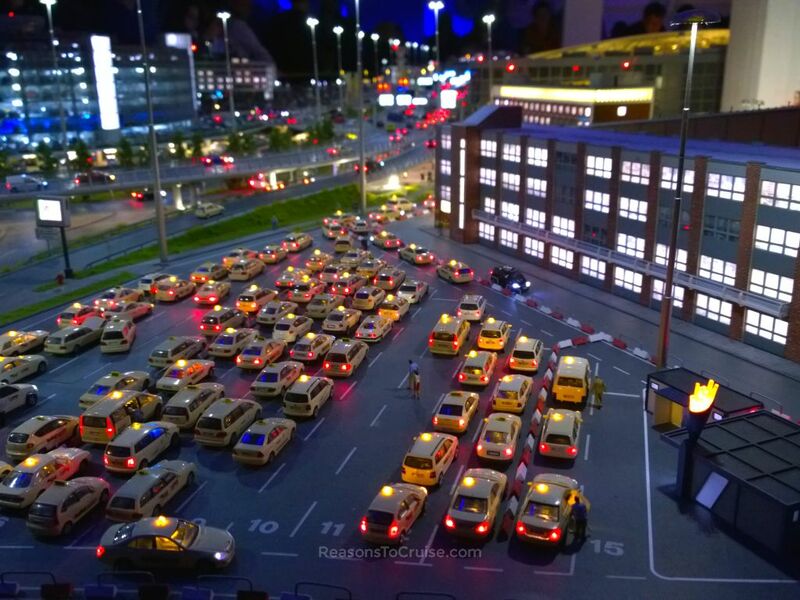 The first tour included a brief visit to the crowded Miniatur Wunderland attraction. 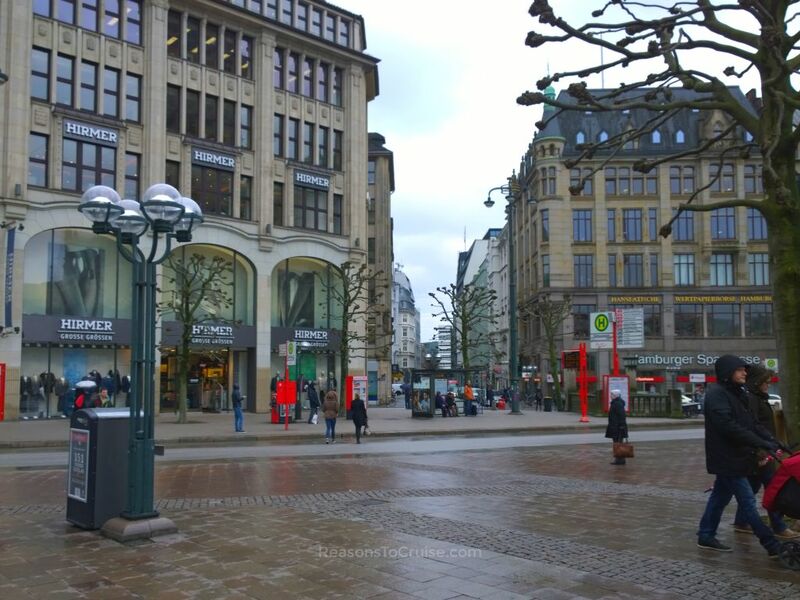 I walked into Hamburg on the first afternoon to explore the city centre on foot. 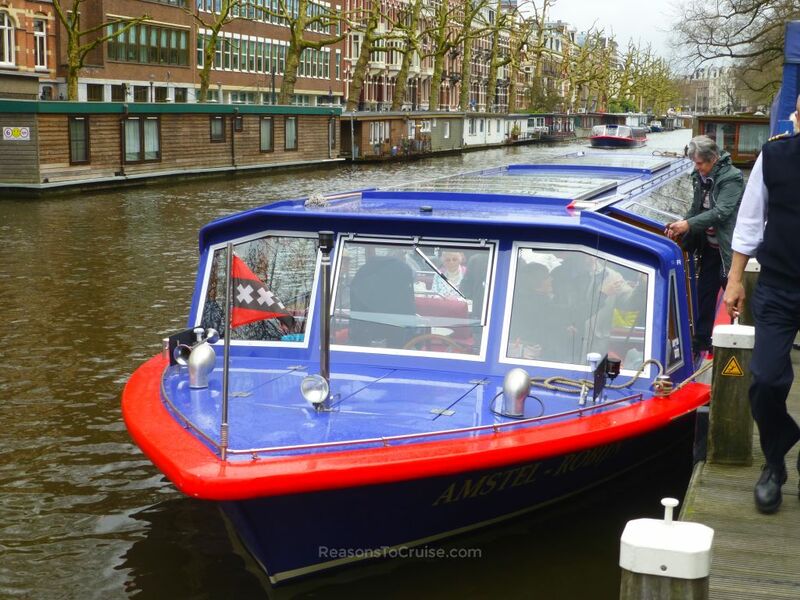 I have visited Amsterdam several times before but have never taken to the waterways. 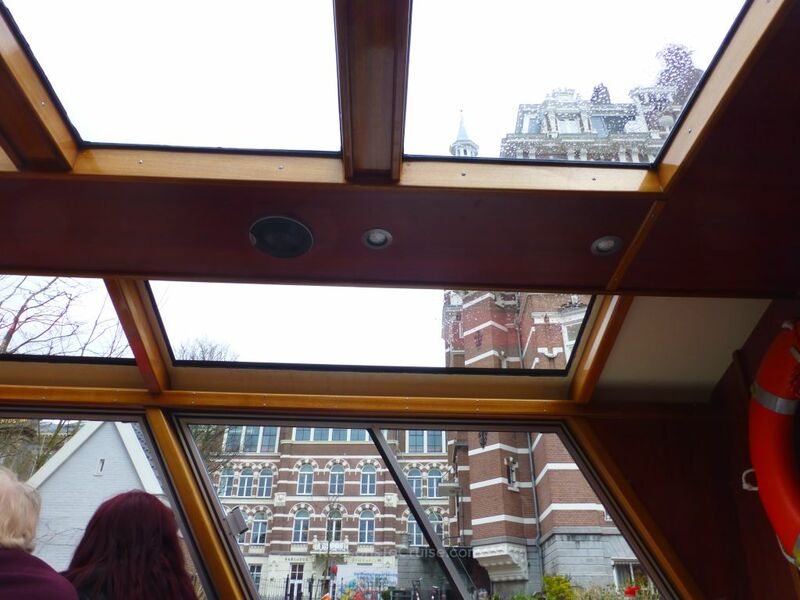 I opted for a canal boat tour but the lack of prime seating led to disappointing rear-facing views. Many of the Fred. 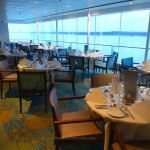 Olsen Cruise Lines itineraries originate from ports dotted around the UK, eliminating the need to fly to board the ship. Departure ports include Dover, Falmouth, Harwich, Liverpool, Newcastle, Southampton, Tilbury, Edinburgh (Rosyth), Glasgow (Greenock), and Belfast. 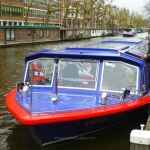 There is a range of taster mini cruises° - ideal for those who have not cruised with Fred. 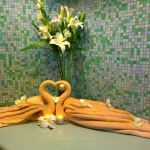 Olsen Cruise Lines before; good value one- and two-week cruises; and a choice of exotic world cruises for those lucky few with three months spare in Winter desperate to escape the cold and dreary British weather. Fred. 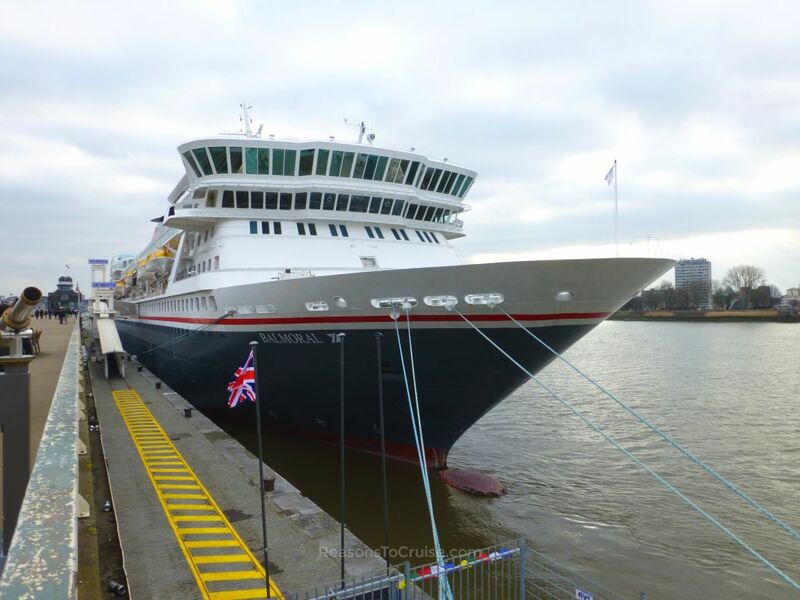 Olsen Cruise Lines will be offering a similar cruise onboard Balmoral, departing from Dover on 22 April 2017. The eight-night Cities & Waterways of Europe° cruise includes an overnight stay in Hamburg, scenic cruising along the Elbe River and North Sea Canal, an overnight stay in Amsterdam, scenic cruising the Western Scheldt River, and an overnight stay in Antwerp, before returning to Dover. Prices start from £799 per person, based on two sharing a twin interior room on a full-board cruise. Have you sailed with Fred. Olsen Cruise Lines? 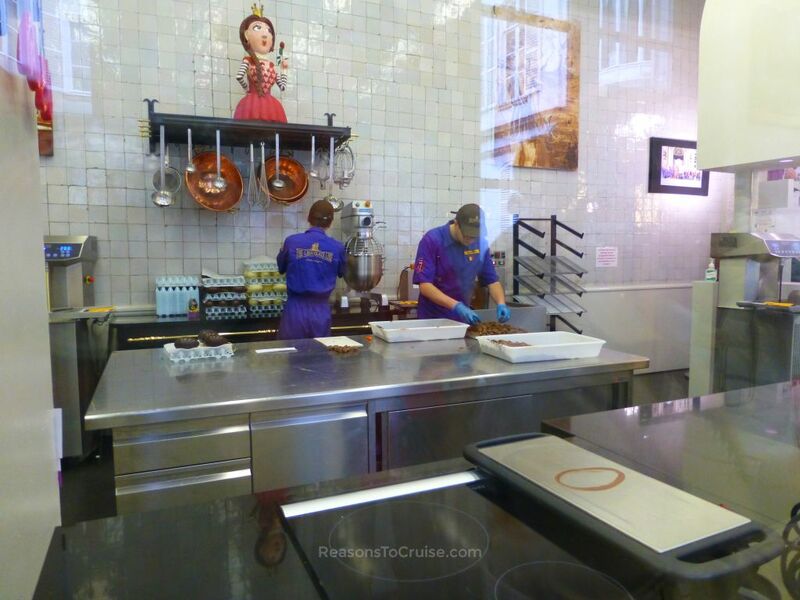 How did the experience compare with other cruise lines? Let me know in the comments below. Disclosure: Fred. 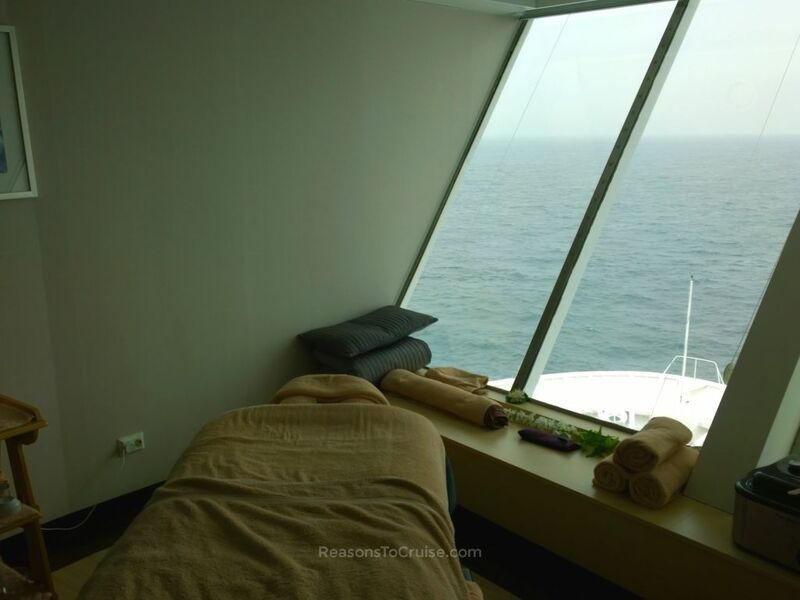 Olsen Cruise Lines supplied a full-board sailing aboard Balmoral, Internet access, all shore excursions, and a spa treatment. I paid for my transport to and from Southampton as well as incidentals onboard, including drinks and snacks. The opinions in this article are my own. Balmoral is a small ship with a big heart. Feel like a member of the family onboard this ship. 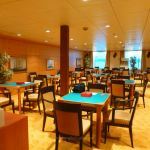 Popular with older travellers, the ship is a good choice for solo passengers, couples, and families with older children. 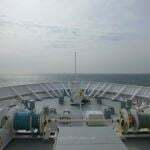 Thank you, that gives me a wonderful insight into the Fred.Olsen ship Balmoral. 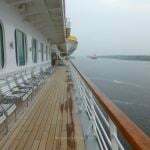 I am travelling on my first ever cruise departing Southampton on 29 October 2017. 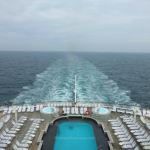 I am 62 and travelling alone but decided to “take the plunge”. Feeling a touch apprehensive I must admit but having read your review I am feeling much more comfortable about this adventure. I am glad you found this helpful – and am glad you’ve opted to try a cruise, especially with Fred. I am sure you’ll love it. 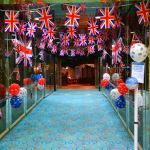 The cruise line is an excellent choice for solo travellers and Balmoral is the perfect size to offer plenty of choice without appearing overwhelming. You’ve chosen an excellent no-fly Caribbean itinerary with some lovely ports of call included. 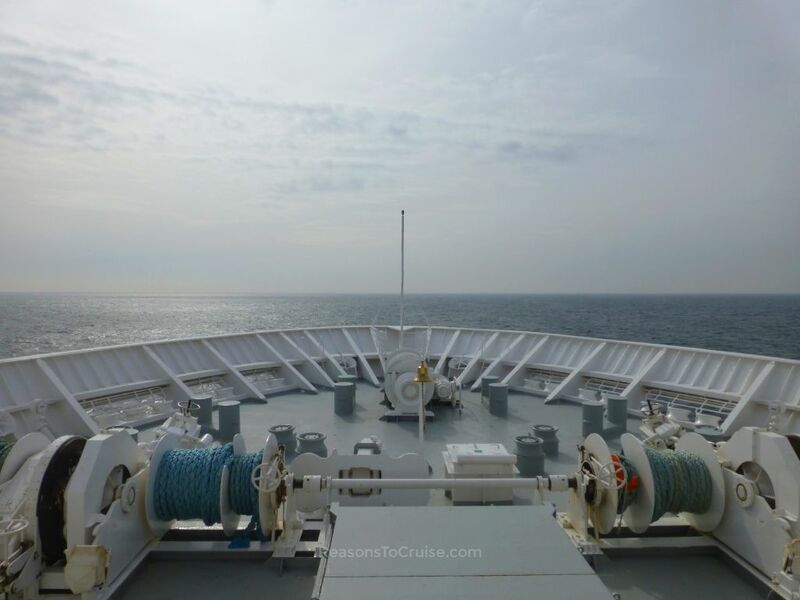 I’d recommend checking out Fred Olsen’s shore excursions. 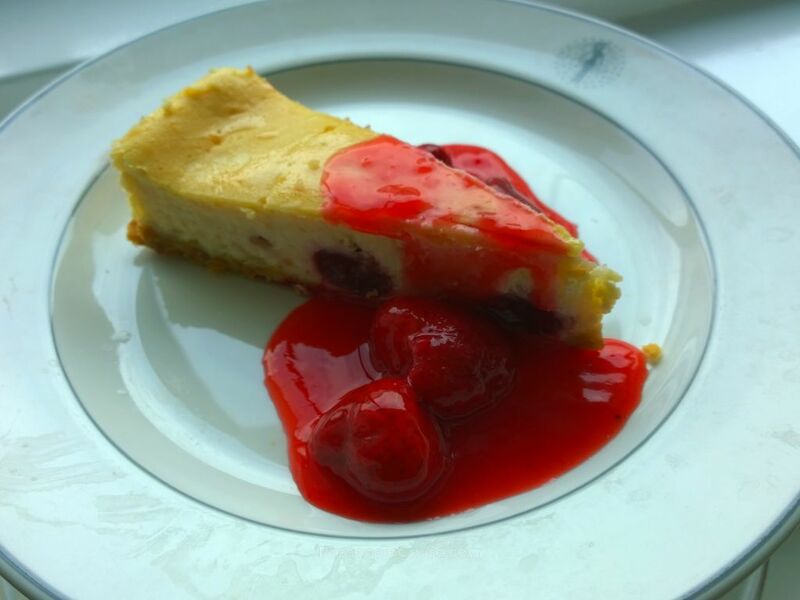 They’re pricier than if you booked through a third party, but they are zero-hassle and a great way of sampling a the destination without a great deal of effort. 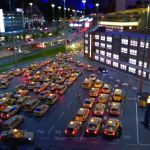 I normally book shore excursions for my first visit to a new destination to get an overview, and then do something on my own for subsequent visits. Please share your feedback when you return as I’d love to know how you get on.